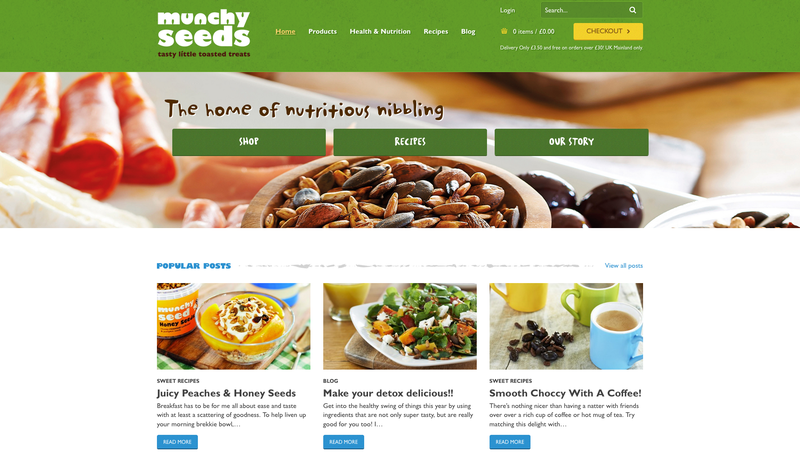 Up until recently, most of our work carried out for Munchy Seeds was based around food packaging and print marketing through Collective Creative. As a result of this trusted relationship, the company asked if Collective Digital could help with maintenance and updates to their existing website. Of course we could. And we did. 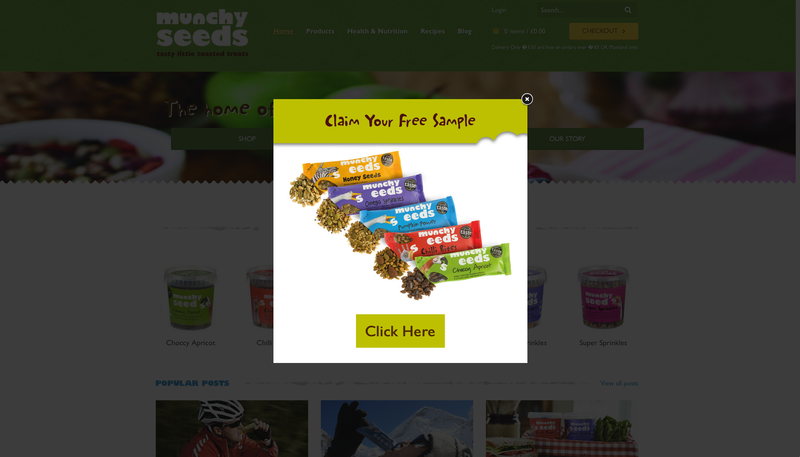 Since then, we have made various changes and improvements to their website including: theme customisations, the addition of promotional pop-ups for free samples/money-off vouchers and extra features which enable easy database capture. Whilst we were working on the site, we also noticed that there were some issues with browser compatibility and mobile responsiveness which had gone unnoticed. We fixed these straight away to ensure smooth running of the site and prevent these usability issues from affecting the website’s performance with search engines. 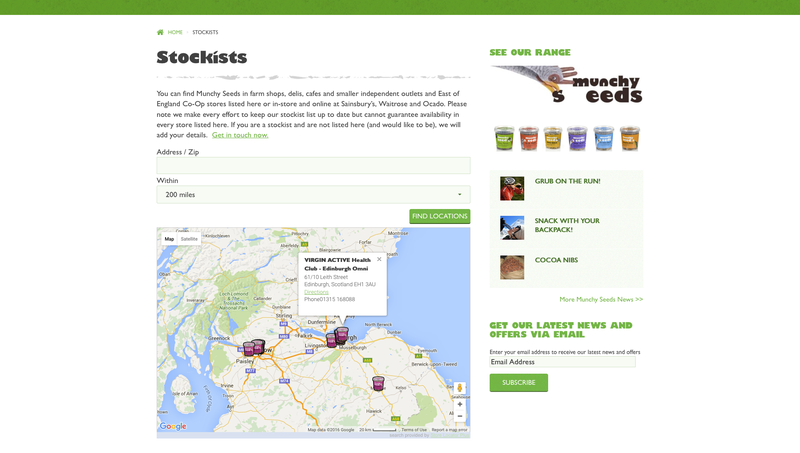 We later added a store locator page allowing users to easily find local stockists. Fun, pink branded pot designs were created and used for the map pins.